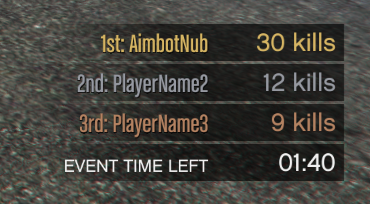 Adds timer bars from GTA V/Online. You can check this wiki page for HUD color IDs. - Added usePlayerStyle property to timer bars, when set to true your timer bar title will be displayed like a GTA Online player name. This feature works with textColor, pbarBgColor and pbarFgColor properties of a timer bar.